In today’s daily market outlook in the Profit Compass, I take a look at the recent dramatic price move higher in the indexes. Should traders be aggressive or cautious here? Key levels and trading plans are given with commentary aimed at keeping you on the right side of the trade. 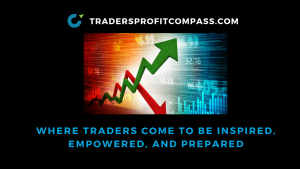 In yesterday’s Profit Compass a case was presented for a continuation higher. We got more that we bargained for with the “Powell Pop”. The Rip was definitely real, but not enough to convince me of the “all clear” just yet. There is certainly a “W formation” present along with plenty of elements that would lead you to believe all is well. Same was true with the recent 400, 500, and 600 point rallies that ended in grief. If price can prove it, I am happy to buy at higher prices with key resistance in the rear view mirror which would become a big level of support. So I will be patient today and tomorrow. I want the G20 headline risk to clear. That will give the market an excuse to go higher or retreat from here. I lay out all the key levels on the charts. One place I would be more aggressive is with IWM. It is at resistance at 152.50 but the big, high level resistance is way up at $158.50. If price were to take out 152.50, I’d be a buyer and looking for a move to 154-154.50. I’d reassess Friday before the close whether to hold that or simply close out and take the profit.